The only irony is that it took someone's hard-won grant money to determine this. Too funny! We are in the middle of a huge open plan transformation at work! Yep. Just far too noisy without individual cubicles---hard to do business. Some of our directorates tried the "half-height" wall cubes.....FAIL. With the open floor plan, just normal phone conversation is frowned upon! The etiquette now is that you have to leave your desk, and go to a conference room or "phone zone"! crazy! I've never worked in an "office" and never wanted to. That said, IMO the open plan truly is a dumb idea. Thank the good Lord, I've been in a HUGE warehouse since 2001. I do not miss cubicle life. I’ve never worked in an office, so I had to read the article to find out what you were talking about. I would think that somebody would have brought up the subject of those annoying open mouth chewers. I can’t think a thing that would be more annoying than an open mouth chewer, eating a chocolate cupcake in an office setting. Yeah. And how's that one chick gonna be able to take any more banana selfies. My company is as well. My office, in my house! Last cube was back in early 80's when I started selling. Would be difficult being in an open environment close to many others all day. I still sit at my desk and work on a computer, almost all day (& many nights) when I'm not out making inspections. 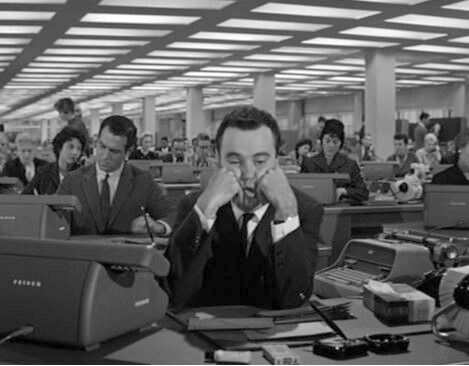 The open plan makes me think of poor Jack Lemmon in "My Apartment"- 1960. Great movie! Been my own boss since 1999. Working for the man you can be just a number is what I was taught. Happy I was given good advice. Hope it helps someone. 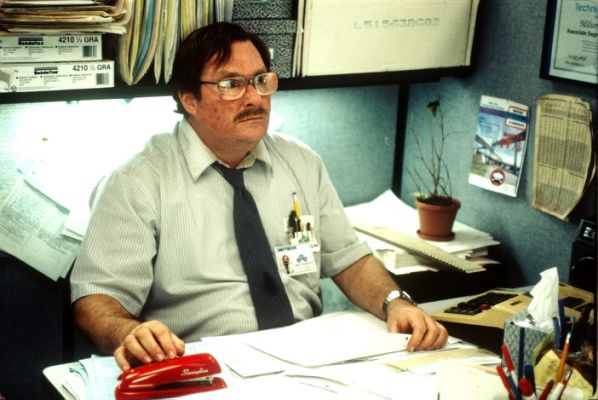 Looks like Mike Judge has new material to make Office Space 2. To each his own but I could never ever work in a setting like that or indoors for that matter. Breathing processed air during the work day just does not work for me. My hat's off to the guys that are forced to go through life stuck in that environment though. Open mouthed chewer eating Doritos every morning at 6:30am...followed by her healthy snack of baby carrots at 7:00am then a breakfast of rice cakes and peanut butter at 7:30am...back to Doritos by 8:00am and continuing until she cracked open whatever incredibly fragrant pile of **** she had left over from dinner the previous night at 11:00am. Back to the Doritos or if the Doritos were gone, Kettle Chips by 11:45am continuing through and usually beyond her quitting time of 3:00pm. I have many videos of her as well as audio recordings that I reported to her supervisor and the HR folks. But they had moved her to my area because everyone else had complained as well and my area was segregated away from everyone just the way I liked it until they moved that huge manatee of a woman over there. Needless to say, I left that position in 2012 and haven't looked back since because now I work from home and keep watching as the cubicles in our offices get smaller and smaller, the walls get shorter and shorter and they pack more and more people into the same space that once only held 50 people but now holds 230. Working from home has prevented me from becoming the next internationally known mass murderer/serial killer. Open offices are ridiculous for any type of job where you actually have to think. Certain jobs it might be ok, but if you are an engineer, or programmer I think it it would drive you insane. I looked at the same gray cube wall for almost 30 years. I couldn't stand it anymore so I moved to a home office I had the foresight to build years ago. However, after a year I got tired of being in any office, said f*** it, and retired at 54. Now I am a free range person! That's pretty much my take on the subject as well (FWIW). How am I suppose to drink beer and surf **** at work in this kind of environment! I could have told you this for free. Well, maybe for a beer or two. I got out of the cubicle farm too. Still doing the same work, I just work from home/telecommute now. I really don't want to go back to a cubicle farm. Sounds like somebody wants a cookie! Worked in an open office at my last job and noise cancelling headphones end up being worth every penny. Thankfully have my own office at the current gig, which helps to keep the noise at bay. My people chatter some, but are mostly heads down in their work so it wouldn't be too bad anyway. For enough money, you could put my desk on a flight line and I'd be happy. Just pay me the cheddar I need to retire early. Everything else is a plus. 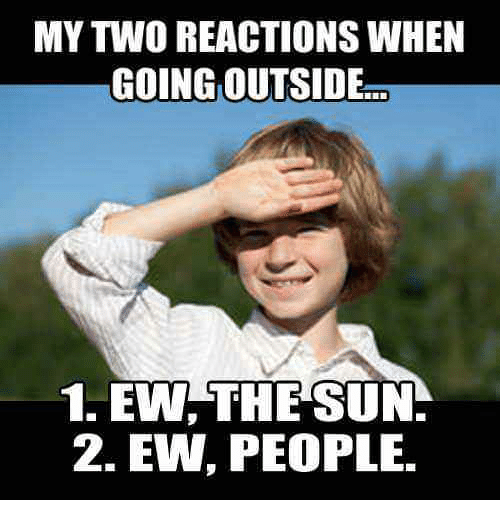 I have worked in the great outdoors for over 20 years, now I hate the sun. @mhardy6647 I don't know bullethead but I think I like him.